Battery electric vehicles (BEVs), especially the Tesla Model S, are sparking the interest of Canadian drivers. More than one in three drivers (36 per cent) who requested auto insurance quotes at Kanetix.ca for a BEV got quotes for the Tesla Model S, followed by the Nissan Leaf (17 per cent). Tesla's dominance is intriguing because according to FleetCarma, there are about as many Nissan Leaf's on the roads as the Model S. Perhaps driver fascination in the Models S is piqued by the frequency that Tesla, and the company's CEO, is in the news. Models that didn't make the top 10 list include Hyundai's IONIQ Electric and Volkswagen's e-Golf, both new to the Canadian market in 2017. What exactly is a BEV? A BEV is a vehicle that runs on electricity, and only electricity. To "fuel" a BEV, drivers just have to plug it in, either into a regular wall socket or a charging station (which recharges the vehicle considerably faster). 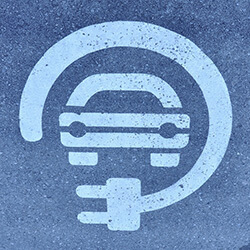 While many drivers install a charging station at home, there are also public charging stations located on roads and in parking lots across the country. Current(ly), in British Columbia there are about 1,000 public charging stations, 1300 in Ontario, and in Quebec, approximately 1,250. Though there are a reported 16,578 BEVs on Canadian roads, FleetCarma's information also shows there are more drivers behind the wheel of a BEV in Quebec than any other province. Quebec drivers are leading the charge with about 6,500 all-electric cars in the province. In Ontario, there are approximately 5,400 BEVs and in B.C., there are more than 4,000. All three provinces offer incentives that could save buyers thousands of dollars if they go electric. In Ontario, rebates on eligible vehicles could be as high $14,000, rebates in Quebec can be as much as $8,000, and in B.C. rebates are as much as $5,000. If you're ready to go electric, make sure you plug into savings on your car insurance too by shopping around for the coverage you need. At Kanetix.ca, we shop the market to help you find the lowest car insurance rate out there. We search over 50 trusted insurance providers to help you save.